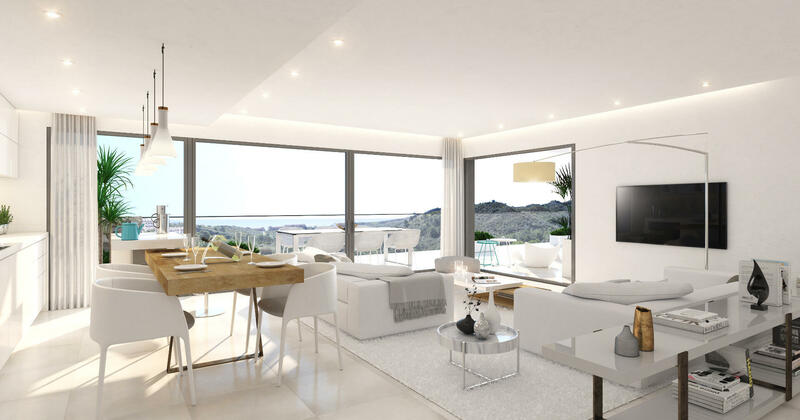 Agora is a new off plan development of apartments in a unique location close to Estepona and Marbella. 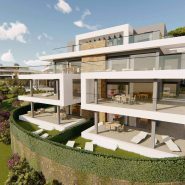 This exclusive boutique project features 34 contemporary apartments and penthouses built in a unique peaceful location combining the beauty of nature with cutting edge architecture. 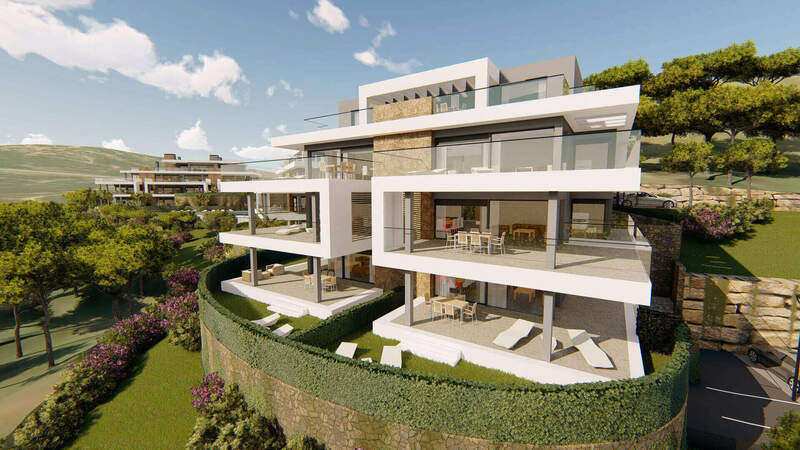 Agora offers stunning new apartments all of which are South facing with unobstructed views across a beautiful natural valley and protected forest area with sea views from the upper levels. 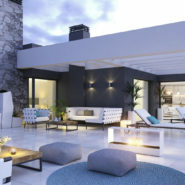 All apartments have wide open terraces with unique wrap around pergolas and natural stone elements incorporated into the design to enhance the picturesque natural surroundings. 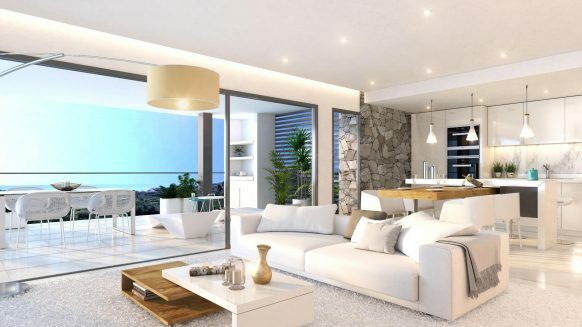 Each floorplan has been uniquely designed to make the very most of its location. 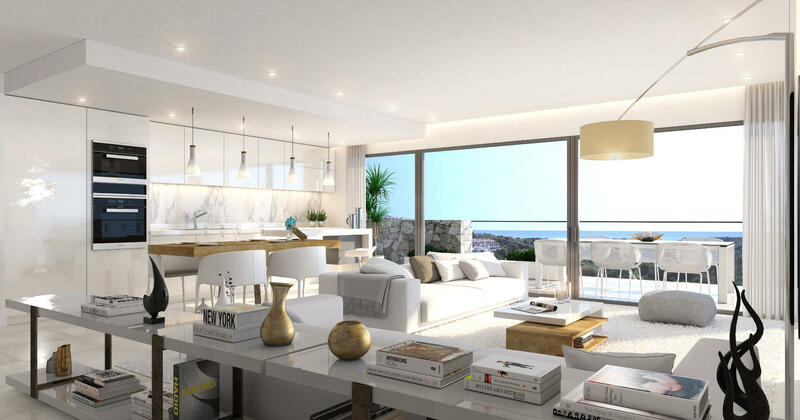 Apartments have an open plan spacious interior with floor to ceiling sliding glass doors in a cutting edge contemporary design leading to generous terraces for beautiful unobstructed views. 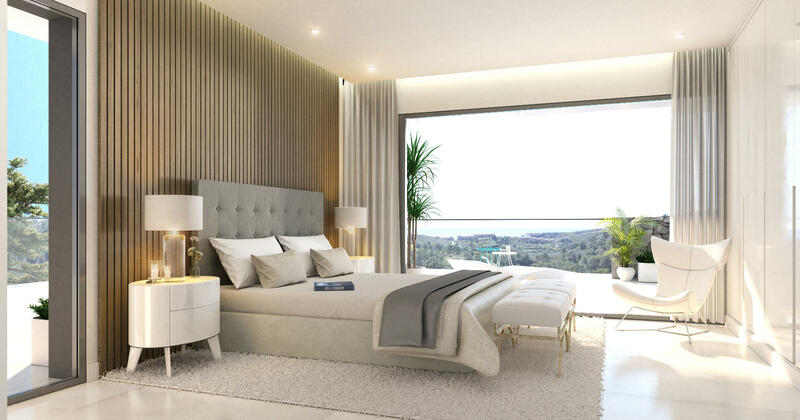 The master bedrooms are positioned towards the front of the properties overlooking the peaceful, natural surroundings. 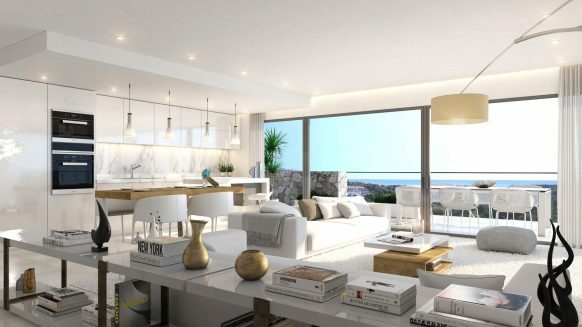 The luxury kitchens are fully fitted with Bosch Appliances. 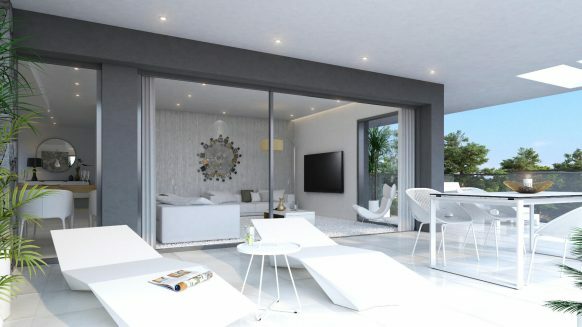 Premium porcelain flooring and hot and cold air conditioning throughout. 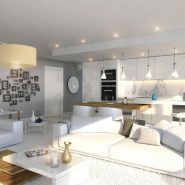 Secure underground parking and store rooms are included. 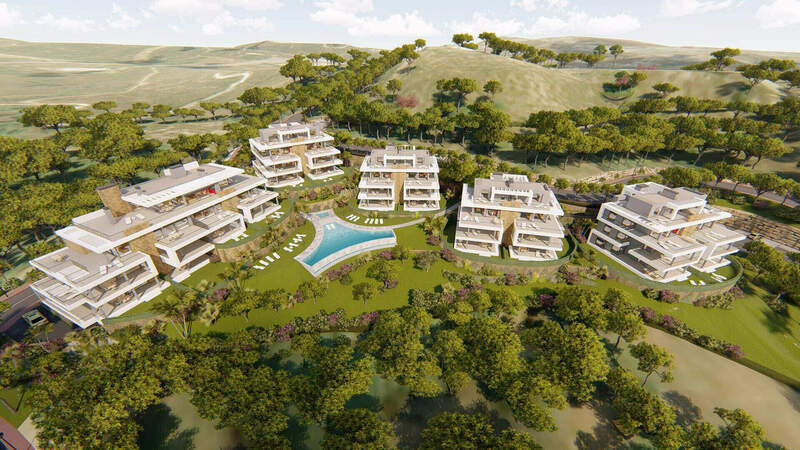 Agora New Golden Mile is laid out in 5 individual buildings. 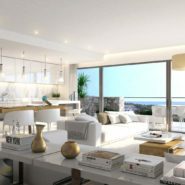 Each building is laid out in 3 levels housing between 6 to 10 apartments and penthouses with 2 or 3 bedrooms. 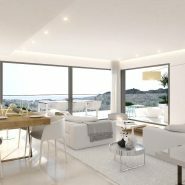 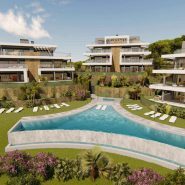 The limited availability and ample communal areas with a distinctive shaped infinity pool and beautiful tropical gardens add to the exclusive feel of this new development. 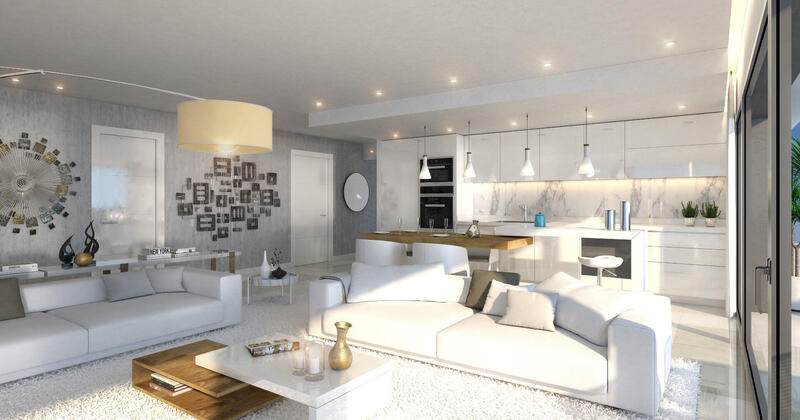 On the ground floor are spacious duplex apartments which feature a basement level with additional room ideal for a gym, games room or store room. 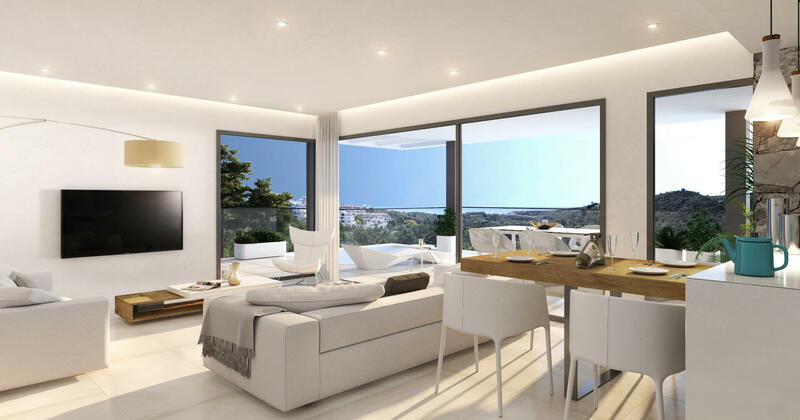 The ground floor apartments are built in a position which is elevated from the pool and gardens, allowing beautiful views from the lounge and terrace over the pool and gardens to the valley beyond. 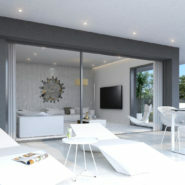 Ground floors also feature a private garden overlooking the pretty communal areas. 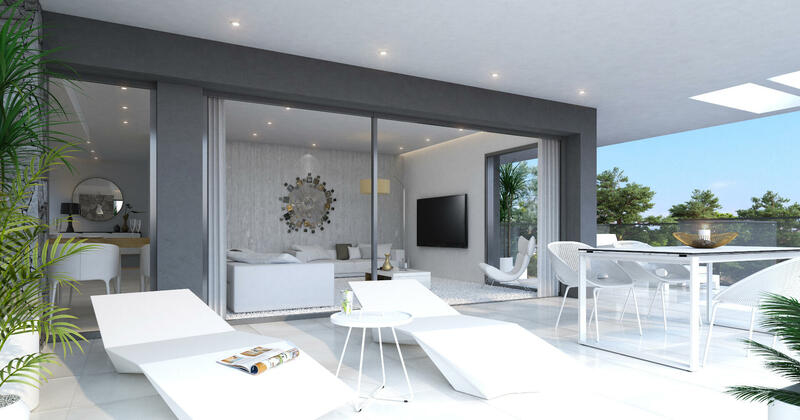 First floor apartments include ample living accommodation laid out on one level and large partly covered terraces ideal for entertaining, South facing for sun all day and with fantastic views over the pool and garden to nature beyond. 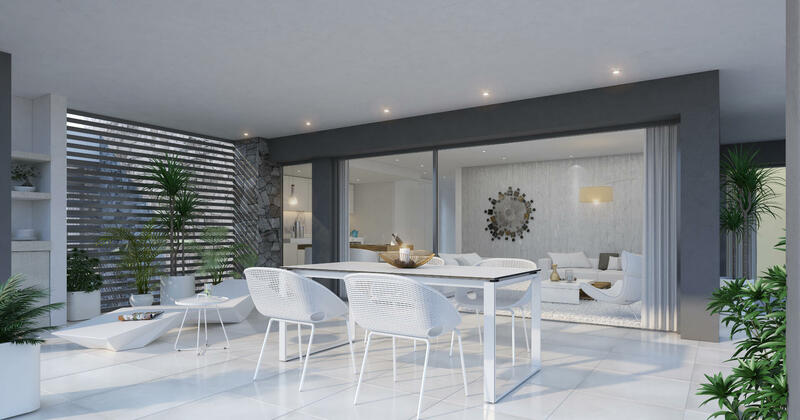 There are just 10 contemporary penthouses available in Agora with lounge areas leading into huge terraces and additional generous solarium terraces, ideal for entertaining and lounging in the sun. 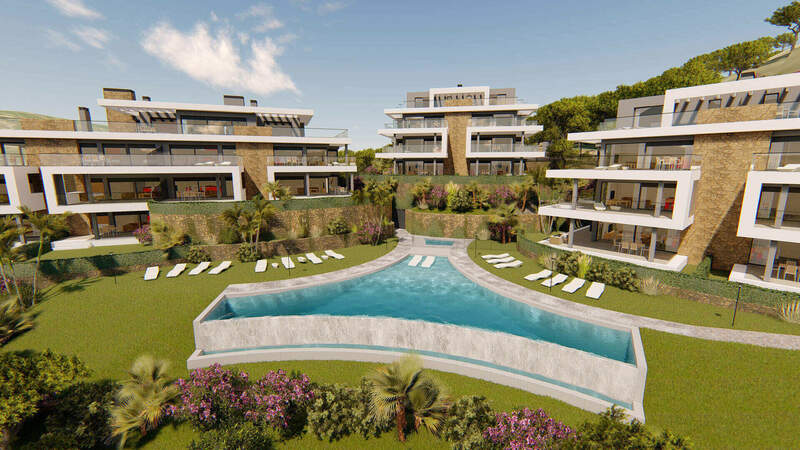 The exclusive Laguna village is less than a 5 minute drive from Ágora and provides a fine selection of boutique shops as well as the very elegant Puro Beach Club. 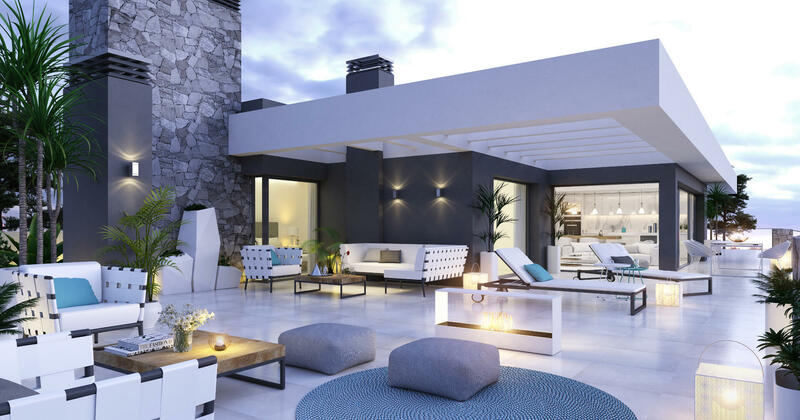 The bustling, seaside Spanish town of Estepona is a 10 minute drive away with a marina and a charming blend of traditional, nouveau or beachside restaurants. 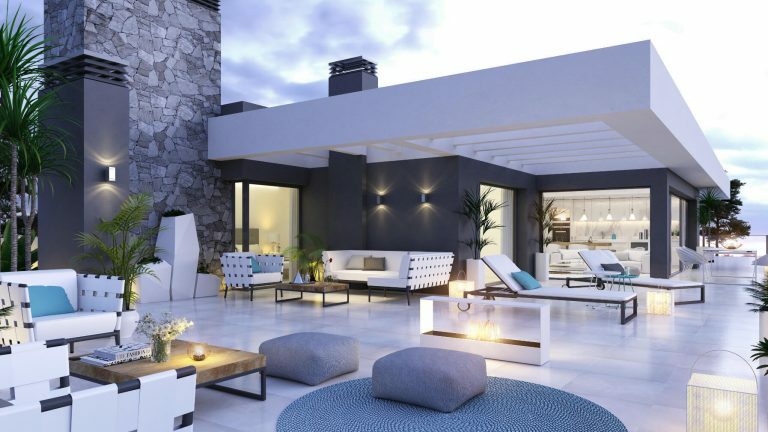 Famous Puerto Banús and Marbella are just 15 km to the east. 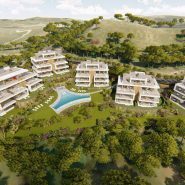 Agora is surrounded greenery and golf with La Resina Golf & Country Club within walking distance. 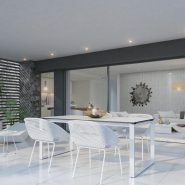 Interested in Agora? 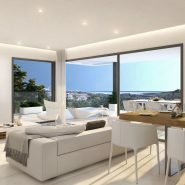 Would you like to have more information, floor plans or visit the building site? 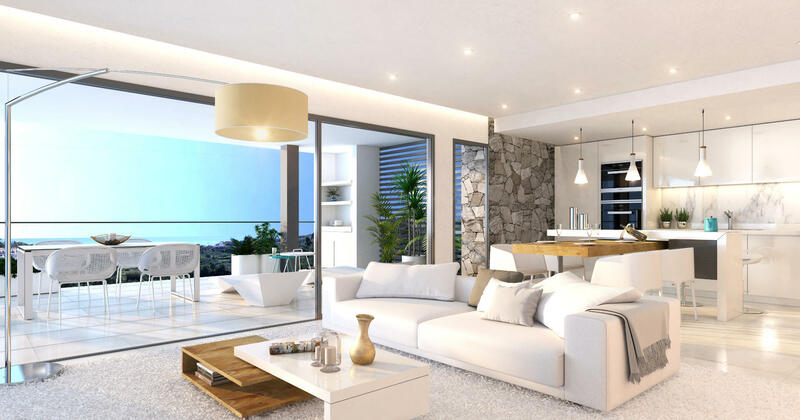 Contact us we are here to help.